The AICPA has proposed a new type of audit engagement, called a Cybersecurity Examination. The exam consists of a new management assessment of the effectiveness of cybersecurity controls, incorporating COSO’s internal control principles and referencing industry standard frameworks for cybersecurity. It also includes a related auditor’s assertion, based on enhanced and updated standards for trust services engagements. 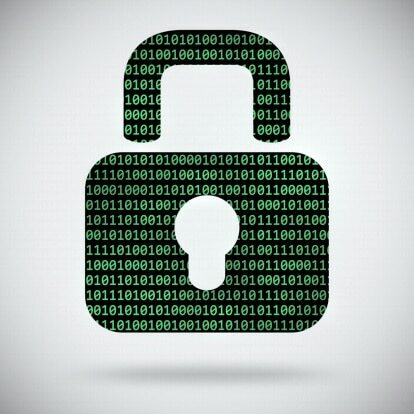 Although management and auditor assertions under the proposed level of specificity / standardization with respect to cybersecurity are not required by regulators, the engagements are designed to meet increased calls for shoring up and providing transparency to cybersecurity controls and risk management. As such, the intended audience for such reports includes stakeholders concerned about or responsible for overseeing cybersecurity risk management, such as the board of directors. “Proposed Description Criteria for Management’s Description of an Entity’s Cybersecurity Risk Management Program,” intended for use by management in designing and describing its cybersecurity risk management program and by public accounting firms to report on management’s description. “Proposed Revision of Trust Services Criteria for Security, Availability, Processing Integrity, Confidentiality, and Privacy,” outlining revised AICPA trust services criteria for use by public accounting firms that provide advisory or attestation services to evaluate the controls within an entity’s cyber risk management program, or SOC 2® engagement. Earlier this year, AICPA President and CEO Barry Melancon explained that the AICPA’s initiatives in cybersecurity are designed for use by public as well as private companies. As noted in the AICPA’s press release, the exposure drafts for the cybersecurity exam carry a comment deadline of Dec. 5. Additional information can be found in the AICPA’s Cybersecurity Resource Center. The AICPA’s announcement caps a week of major cybersecurity developments, including the White House announcing the first federal chief information security officer, who will “drive cybersecurity policy, planning, and implementation across the government,” and the conclusion of the Internet Security Alliance’s Top of the Hill security conference. The ISA, a private sector organization with private and public sector organizations as its members, was founded in 2001 in conjunction with Carnegie Mellon University to “combine the thought leadership of a think tank with the advocacy of a trade association and the programs of a professional association.” Earlier this year, the ISA published an updated document, “Social Contract 3.0.” The genesis of the ISA bringing together a diverse group of market participants to take a stand on market-based solutions, and to make recommendations to government, is explained on ISA’s Social Contract webpage. At the same time, the CAQ, whose board consists of leading members of the audit profession and independent board members from the world of corporate governance, notes in “Social Contract 3.0” that it supports voluntary — not mandatory — cybersecurity exams. “Although the AICPA has begun development of a new attest service, we believe that the decision to utilize such a service should rest with each individual company and its board and management and should not become a regulatory requirement,” the CAQ states.